Nothing beats welcoming the summer days with free and discounted games. Ahead of the Steam Summer Sale, GOG launched its own "2013 #NoDRM Summer Sale" with discounts on over five hundred games - all DRM-free. To ramp it up an notch and build hype, they made Torchlight free for 48 hours (through June 19th). 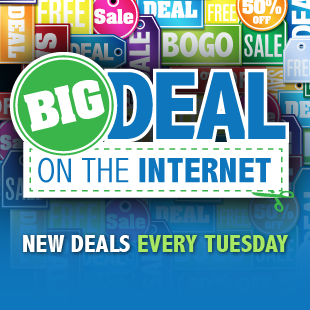 Also, each day they'll put up new deals on their homepage that will be available for a 24-hour period. The sale runs from now through Friday, July 5th. Another pre-Steam sale is the Origin Anniversary Sale with discounts up to 70% on select games sold with everyone's favorite DRM (lol). DRM preferences aside, you can find solid discounts, like the Battlefield 3 PC download for only $5 and Crysis 3 on PC for only $20. Unlike GOG's sale, the Origin Anniversary Sale isn't strictly limited to PC games, so Dead Space 3, Army of Two: The Devil's Cartel, and Need for Speed: Most Wanted on Xbox 360 and PS3 are going for only $28 apiece. Furthermore, PS3 and Xbox 360 games ship free with a minimum $25 total sale. The Origin sale is good through Wednesday, June 19th. On Monday, GameFly launched another round of sales that stack with coupon on select PC download games from Sega. They probably should've just named this sale "Total War games and four others" - out of eleven discounted games, seven are from the Total War series. GameFly gave them all a hefty 75% off instant discount, but on top of that, there's a checkout coupon code that will ultimately mark the games down 80% off their MSRP. 2013 #NoDRM Summer Sale - at GOG.com. Torchlight - FREE (Normally $15). Good through Wednesday. Wide A.Wake Bundle (Alan Wake) - $4.48 (two Alan Wake downloads, normally priced at $45). Tuesday only. Definitive Dungeons and Dragons pack - $21.10 (ten downloads that normally run $106 separately). Tuesday only. Origin Anniversary Sale - Discounts up to 70% off. For those who don't mind the Origin DRM there's a decent amount of Origin activated PC discounts to be had. Deal expires June 19. GameFly Sale: Sega Games (PC Download) - Up to 80% off at GameFly. Instant discounts up to 75%, and there's a coupon code for extra savings bringing discounts as high as 80%. Most games are from the Total War series. Deals ends June 20th. Knights of Pen & Paper: +1 Edition (PC Download) - $7.50 at Green Man Gaming. List is $10. Deal expires June 21. Dishonored (PC Download) - $15.99 at GameFly. Next best is $30 at Green Man Gaming. Close to its previous lowest price of $14.99. Deal expires June 20. Pro Cycling Manager 2013 (PC Download) - $27 at Green Man Gaming. Releases later this week on June 20. List is $40. Deal expires June 21. Magrunner: Dark Pulse (PC Download) - $16 at Green Man Gaming. Releases later this week on June 20. List is $20. Deal expires June 21. Company of Heroes 2 (PC Download) - $45 at Green Man Gaming. Releases next week on June 25. Next best is $60 at GameFly. Deal expires June 21. Deadpool (Xbox 360, PS3) - $37.50 at ToysRus. Releases next week on June 25. Next best is $50 at Amazon. Mortal Kombat Komplete Edition (PC Download) - $24 at Green Man Gaming. This PC port will be released on July 3. List is $30. Deal expires June 21. Total War: Rome II + Greek States Culture Pack DLC (PC Download) - $44.97 at Green Man Gaming. Releases September 3. List is $60. Deal expires June 21. Tiger Woods PGA Tour 14 (Xbox 360, PS3) - $41.99 at Origin. List is $60. Deal expires June 19. Dead Space 3 (Xbox 360, PS3) - $27.99 at Origin. Next best is $33 at Rakuten. Deal expires June 19. Mass Effect Trilogy (Xbox 360, PS3) - $27.99 at Origin. Next best is $40 at Best Buy. Deal expires June 19. Need For Speed Most Wanted (Xbox 360, PS3) - $27.99 at Origin. Next best is $37 at Amazon. Deal expires June 19. Crysis 3 (Xbox 360, PS3) - $27.99 at Origin. Assassin's Creed 3 (Pre-owned: Xbox 360, PS3) - $12.99 at GameFly. Command & Conquer The Ultimate Collection (PC Download) - $9.99 at Origin. Next best is $20 at GameStop. Deal expires June 19. Neverwinter Nights 2: Complete (PC Download) - $9.99 at GOG.com. The Witcher 2: Assassins of Kings Enhanced Edition (PC Download) - $9.99 at GOG.com. Next best is $20 at GamersGate. Call of Duty: World at War (PC Download) - $7.99 at GameFly. Next best is $20 at Amazon. Deal expires today. Syndicate (PC Download) - $6 at Origin. Next best is $20 at GameFly. Deal expires June 19. Need for Speed: Hot Pursuit (PC Download) - $6 at Origin. List is $20. Deal expires June 19. Borderlands Game of the Year Edition (PC Download) - $5.95 at GamesRocket. Next best is $25 at Amazon. Deal expires June 20. Hotline Miami (PC Download) - $4.99 at GOG.com. Next best is $10 at GameStop. FTL: Faster Than Light (PC Download) - $4.99 at GOG.com. Warp (PC Download) - $3 at Origin. Next best is $10 at Green Man Gaming. Deal expires June 19. Theme Hospital (PC Download) - $2.99 at GOG.com. List is $6. Deal expires July 5. SimCity 2000 (PC Download) - $2.99 at GOG.com. Lenovo has the Y500 on liquidation price at $839 given the Y510p with Haswell is replacing these older models. You get 3rd Gen Core i7-3630QM, a full HD 1080p panel, the latest GeForce GT 750M 2GB with GDDR5, and 1TB HDD + 16GB SSD. This is the lowest price we've seen for this model, and it's a fairly powerful machine for well under $899. The latest Lenovo IdeaPad Y410p Laptop with Haswell is $849 with free ship. You get the latest 4th Gen Core i7-4700MQ, an upgraded HD+ 900p panel (the previous Y400 had a yucky 768p display), GeForce GT 750M 2GB, 24GB mSSD, and 8GB RAM. Deal expires June 21. Dell XPS 8700 Desktop with U2312HM Monitor Bundle is $849.99 with free ship. Decent desktop + monitor deal. Latest Haswell Quad Core i7-4770, Radeon HD 7570 (a bit weaksauce here), and a 23-inch U2312HM IPS LED Monitor. Deal expires June 19. HP's new Phoenix Envy 800 Gaming Desktop is $951.99 plus $9.99 shipping at HP. 4th Gen Quad Core i7-4770, mid-range GeForce GTX 660, 8GB RAM, and Blu-ray drive. Deal expires June 23. This is the lowest price since the new Haswell-based desktops were refreshed (thanks to the new 15% off HP desktop coupon).